One week after announcing Steam Link Anywhere, Valve has announced a set of sweeping updates to its Steam Store. These new updates include improved game pages and a revamped game library section that shows your friends’ activity, your recently played games and any new updates to the games in your collection. Also new is a Steam Events page that will show you about upcoming tournaments, game updates and other in-game events for the games you own. 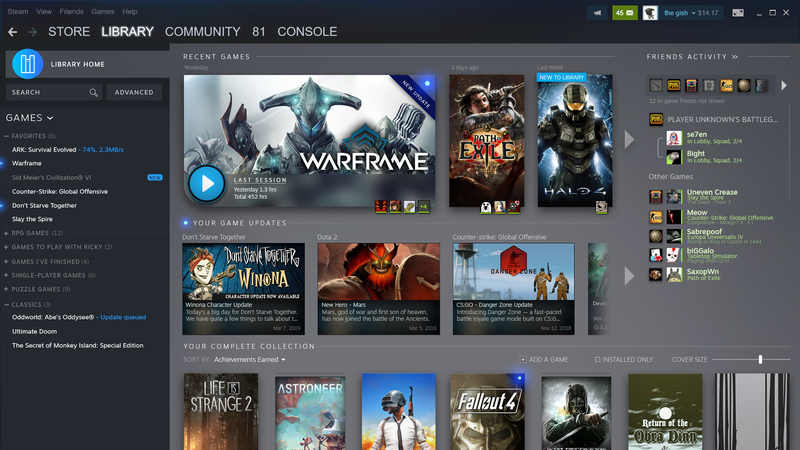 Valve announced these changes at its 2019 GDC event on the future of the platform, re-affirming Steam’s position as the world’s leading marketplace against up-and-coming shops like the Epic Games Store.